Happy Friday everyone! Thanks for joining us here on The Writing Piazza. It’s time for another #fridayguestinterview. It’s always so much fun and I’ve heard so many great comments about these interviews that it makes all the work, of putting these together, worth it! 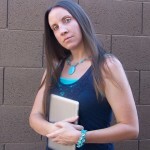 I’m excited to introduce this week’s guest, Author DJ Priddle. Would you like to tell us a bit about yourself DJ? I am DJ Priddle and live all the way down in the deep south of the UK on a tiny forgotten Island called the Isle of Wight. I’ve been writing for my entire life, short stories, poems and songs, but as a ‘real’ author for only about a year. I’m actually the lead singer of a rock band. (No really, I am.) My wife and I run a wedding and function band, and I’m the front man. When I’m in the UK, I travel the country in an old transit van and perform on stage at various events, otherwise you can find me at various ports around the world, performing on Cruise Ships. When I am not doing that, I write press releases for an independent PR company, work for a sound and light AV company and I present a weekly show on local radio. I live with my wife and three daughters, which means that any rare spare time that I have is very quickly filled up with DIY, day’s out and dad duties. And I thought I wore a lot of different hats! That sounds like a lot of fun stuff you’ve got going on! We’ll have to save most of it for another time since this blog is geared towards writers, let’s zero in on your writing. Can you tell my readers a bit about the books you have written? So far I have written two books out of a larger series. My debut, The Honey Trap is a story about a ‘bad’ cop, Jonas Brock, who used to work in the Metropolitan Police Force. He has made some pretty bad decisions and ended up in prison. The story focuses on his life, and his attempts to rebuild his broken relationships, but unfortunately for him, he is not very good at it. He is selfish and broken by his own past, and continues to hurt all of the people that he cares for the most. Jonas takes on some private investigator work, but is soon out of his depth with an enormous fraud case and unexplained murder. The second installment, Blood Runs Deep is a follow on from the first novel, continuing to follow the life of Jonas Brock. Both novels are about how he deals with the world around him. Life after prison has been tough for him, and he is beginning to realize that his criminal past is still very much a part of his life. 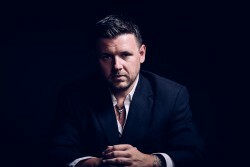 In this next book, he has no choice but to deal with past events head on, as he is begrudgingly thrown into a case searching for the son of a wealthy businessman, while trying to fend off the assistance from a determined, but clumsy, young journalist and with an old flame thrown in for good measure. Due to the fact that these books are set in London, and within a very dark underworld, there are adult themes. The first book contains, what I would consider as a lot of bad language and adult content, however by the second book, the bad language and themes are more moderate. Blood Runs Deep is more of an action/suspense type novel. Thanks for the heads up on the content. I have some younger readers and authors that follow my blog so I appreciate you letting us know. Your stories sound intriguing, can you tell us a bit about what inspires you when you write? Most of my current inspiration comes from the millions of books that I have read and the billions of films that I have seen. I have also got into a really bad habit of watching thousands of hours of documentaries, searching for anything that I can use as content. Even the smallest details can be over emphasized and expanded to make interesting plotlines. As for why I write, I think that it goes back to having always been creative in some way or another. It was not that I always wanted to write, I just did. Since I was young, I’ve always enjoyed creative writing. Throughout school I wrote short stories and enjoyed studying English Literature and the Greek Classics. I had two English teachers at high school who were a huge inspiration to me, and their passion for the classic writings of Sophocles, Homer, Harper Lee and Shakespeare meant that I really engaged with them. I was inspired by the way that the characters interacted with each other. The main storyline always felt merely like a top layer of a much more complex idea, to me, and that is what I wished to create in my own writing. As I got older, I continued to write, but never completed anything. I realized that I did not know how to write a story, to the end. I did not have the focus or the attention span to see it through. So, I had to retrain my brain and learn the craft of ‘long-distance’ writing. What about your publishing journey, can you tell us a bit about what that looked like for you? I know everyone’s path is different so I’m always eager to hear about how each author came to be published. My publishing journey has been one based on luck. I was writing Press Releases for a friend of mine who owns a PR company. Many of those releases were for my publishers. Over a beer one day, I had joked about writing a book, saying “How hard can it be?” After that the publisher called me and asked if I would have anything for them to read. My friend had put me forward as an author! The first two weeks were spent learning how to write. This is my biggest advice to young writers, and it is important. I truly believe that no one can just write. It is a craft as well as a talent. You may have a flair for words and a wonderful creativity, but without discipline and endurance, a novel is really hard. I watched countless vlogs on YouTube, teaching how to write, how to edit, how to build characters etc. And only then did I open my word processor. Within the time frame the first draft was complete. I gave the manuscript to a friend of mine, who I trust, and gave him a week to read it. When it came back to me, he had made notes, scribbles and edits throughout the whole thing! This is the point where the story really started to take shape. After another week, the new edit was complete and my friend read it again. When the publisher received and read my final draft, they called me to confirm that the book would be published. I was over the moon. Contracts were negotiated and drawn up, and they visited me here on the Isle of Wight to put pen to paper. The publisher started off as a small independent publishing house, but is now going from strength to strength. More authors have joined the ranks, including big names such as Ray Quinn, so now the team is pushing forward and growing everyday. That’s so exciting! In my dreams it happens that way. A publisher just calls me up and wants to publish me. I think that’s a big reason why I started my own small publishing press. I want to be the one making other writers’ dreams come true, to call them up and tell them I loved what they wrote so much I want to publish it! But I’m sure it wasn’t all as easy as it sounds. What were some of the obstacles you faced in publishing? Being on the Isle of Wight. It’s hard when you are stuck down here because you don’t have the buzz of the city. Although, when I am writing, that’s a good thing. The peace and quiet, and slow lifestyle is a real bonus, but easier access to England would certainly help with marketing. Ah marketing. The bane of (just about) every author’s existence! haha I can see how that would be difficult to be so far from things. But yes, when it comes time to write, I’m sure it’s nice to have so much peace and quiet! There’s a question I love to ask published authors because the answers are always so helpful and enlightening. So of course I’m going to ask you too. J Now that you’re a published author, what’s something you know now that you wish you knew before you started? How much the characters would become a part of my life and the lives of other people. When I wrote stories that no one would read, it didn’t matter. However, once you know that someone out there will actually see the book, it gives each of your characters a purpose. After the first book, I actually received emails from disgruntled readers about the dramatic ending. People were unhappy that the book ended so abruptly, and with deaths that they had not seen coming. One lady begged me to hurry up with the next book as she was desperate to know what was going to happen next. I had never really thought about how books can affect the reader in that way. I had that happen with the novella I wrote for my blog. I was surprised with how upset people got about the ending. I wasn’t planning on writing a sequel to it until I had a number of people beg me to do it. But I think that’s what makes it worth all the time and effort we put into writing these novels. The readers are my favorite thing about writing. And while we’re discussing helpful insights and learning from authors who are published. Do you have any advice for young authors? My advice would probably go on for pages and pages, but I will try to be brief. Learn how to write. By this I mean, don’t assume that the idea in your head will spill out onto the pages fully formed. This is rarely the case. The mind is a collection of ideas and images, connected by the thinnest and delicate threads. On paper, these ideas are less than appealing to a reader. Take the time to learn the process. There is now so much information out there from authors, teachers and editors. Trawl the Internet and you can find help groups and lessons on how other people have gone about it. I read the ‘Dramatica Theory of Story Structure,’ an idea that the story has its own mind and personality predetermined by the storytelling, and tried to implement some of its ideas into my own writing. Read anything on the Internet called, ‘How to write a novel,’ or similar and learn whatever you can. There really is a lot of great info out there for writers. Not to brag (ok maybe just a little bragging) but there are some great resources right here on The Writing Piazza to help you improve in your craft. I hope you’ll check it out after you finish reading this interview! Plan! Plan! Plan! The more time that you dedicate to planning your book the better you will understand it. If you don’t know the story, how can you ever expect to narrate it to your reader? Readers are as fickle as you are, and they will quickly see through a writer who is ‘making it up as they go along.’ So, you have to believe what you are writing. Know your backdrop, understand your story and feel your characters. Laugh with them, get angry with them and cry with them. It will make the story more believable for your reader. Planning will also make sure you keep your story consistent. I think it’s so distracting to find blatant inconsistencies in a story. Planning will help you keep those mistakes from cropping up unexpectedly. This is great advice. I’ll let you keep going for as long as you want. lol The soapbox is yours my friend, you’re on a roll! Probably the most important advice of all is, Write. Nobody wrote a novel by staring at a computer screen. It is true that everyone has a novel inside them, but what is the main difference between them and an author? The author actually finished it. So, sit and tap away at the keyboard, and give yourself permission to be exceptionally bad at it. Write rubbish, use terrible grammar, make spelling mistakes and lose your storyline to go on a worthless tangent, but do not stop, until it’s finished. Then, and only then, edit. 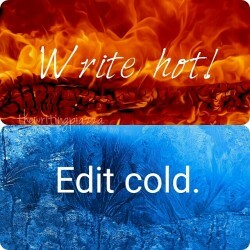 Writing and editing are different processes; do not confuse them as one. When you write, you do just that. No sooner than the idea is formed in your mind, it is shot out of your fingertips and onto the page. Editing is a slow and analytical process, and in my opinion, where the real storytelling happens. Each sentence is taken apart, one word at a time, and reconstructed to flow and to entice the reader to read on. 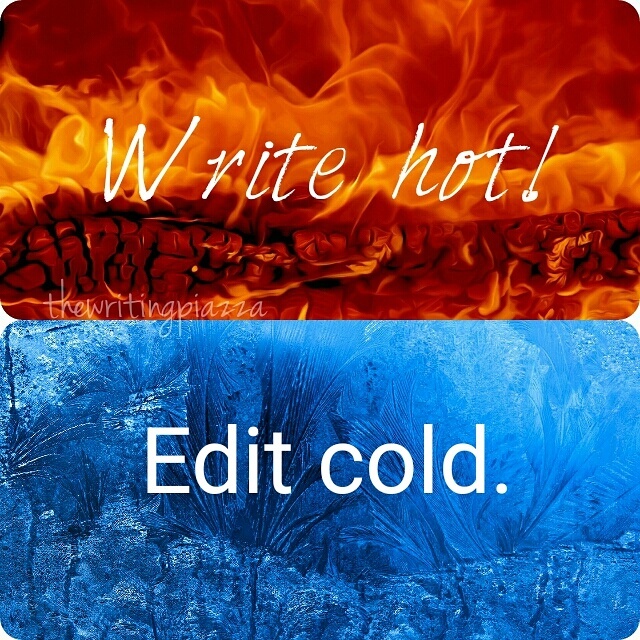 Write hot, edit cold. Write freely without censoring yourself in any way. Allow those creative ideas to rush out of your psyche, and hopefully you will create something wonderful. Edit as if it is the worst story that you have ever read. Be harsh, show no mercy and do not spare your feelings. Sometimes in an edit, you will have to get rid of ideas that you have come to care about. You will kill off characters, lose whole scenes of amazing creativity, and sometimes you will be sad to see them go. However, if it does not move the narrative forward, then you need to get rid of it. Be prepared to kill those ideas. Do not get precious about them. What you have at the end could be the greatest work of fiction that the world has ever seen, it probably is not, but that ‘maybe’ is hope enough for any author. I like it even better than Hemingway’s “Write drunk, edit sober.” 🙂 I’m totally using that like all the time now! I also wanted to ask you about your vlogging, I knew you told me you do a bit of that. Can you tell us about it? My vlogging tends to be about music. At some point I would love to sit down and vlog about writing, but right now I’m far too busy. I like to take a camera wherever I go and show people what I’m up to, but the editing takes so much time. Next January I will be completing my third novel, while on the Cruise Ship, so I intend to vlog as I go. I think that writing in the various beautiful locations will be a new experience for me, and I hope that the vlogging will offer me some catharsis. Well if you don’t have a platform to share that vlogging yet, you are welcome to do it here on The Writing Piazza. This blog is all about giving a behind the scenes look at writing so that would fit in perfectly here. I’m hoping to branch out and make this site a place where writers can come and “hang out” and work on improving their craft. I’m so grateful you agreed to do this interview with me, it really is such a big part of the mission of this blog. And of course I can’t let you go without asking, are you currently working on a new book? Yes and no. My third book “Esther” is a work in progress. The plot outlines are done, the character sheets are done, but the book is far from written. I’m waiting for the second book to get out there. I want to know what people think before I finalize the next installment. It’s tricky to talk about it, as it follows so neatly from the second book. Basically, it takes Jonas Brock to different parts of the world and he will have to keep his wits about him to rescue a special little girl. I wish you the best of luck with that. I encourage all you readers out there to check out his books. DJ, do you have any events coming up for those readers who are near your neck of the woods and interested in meeting up with you? As yet my book signings are unconfirmed as there has been a delay with the paperbacks. But in September I’m hoping to do two signings. One at Waterstones on the Isle of Wight and the other in Southampton. Well that’s it for today’s interview. Thank you DJ for taking the time to do this interview for us today. And thank you to all you fabulous people who joined us for the ride. I hope you’ll wander around the site for a little bit. There is a lot to explore! And don’t forget, there’s a new interview each Friday so I hope you’ll sign up to follow The Writing Piazza so you can keep up with all the great new guests we have each week.